David Bernhardt is to become, according to Donald Trump, America’s new Minister of the Interior. The 49-year-old politician held the position previously provisional – and is highly controversial. Environmental activists immediately declared their protest. After the departure of his scandalous Interior Minister Ryan Zinke wants to make American President Donald Trump his equally controversial deputy David Bernhardt as his successor. Trump announced on Twitter on Monday that he would nominate Bernhardt, who has been provisionally leading the ministry since Zinc’s departure for the turn of the year. Environmentalists immediately protested against Trump’s election. The Senate, in which Trump’s Republicans have a majority, must confirm the candidate. In the United States, the Minister of the Interior is primarily responsible for the administration of the federal state. The ministry decides, for example, whether nature reserves are designated or whether energy production such as fracking is allowed. Internal security is the duty of the Ministry of Homeland Security. 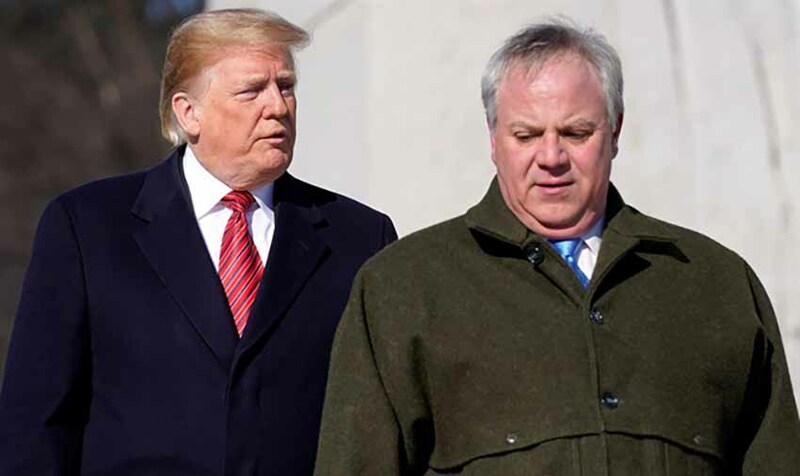 The “Washington Post” described 49-year-old Bernhardt as “an experienced lobbyist” who had pushed the government’s efforts to expand oil and gas wells.